The need of constantly keeping high both service level and operational skills offered by MATEC can be translated into a strong integration between Customer’s needs and the daily comparison to the evolution of reference markets. Clarity about a project feasibility always goes together with studying in depth customer’s real needs. That is to say creating plants which satisfy Customers’ needs, comply with regulations and guarantee long term reliability and safety at the same time. 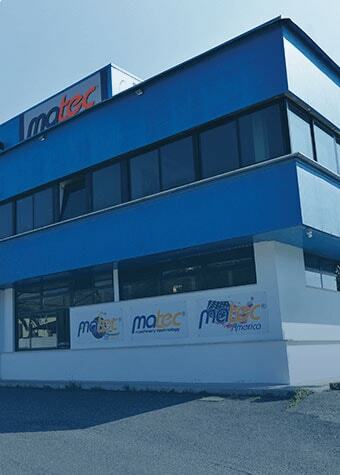 The faster and more dynamic the realities which characterize the sectors we work for, the more MATEC commits in guaranteeing the correct development of company production processes and resulting commercial strategies. These have become our duties towards those who rely on a company for which transparency and technological rigor are indispensable and totally effective qualities. Our organization gives a noble and profound meaning to its activities. A meaning that is capable of arousing enthusiasm, commitment, passion, and respect and trust among all our collaborators. These conditions are necessary to ensure and create a strong and distinctive culture: “The culture of excellence”. The Vision which has always moved our strategies is addressed to the Customer, with the sole aim of “creating the experience of comfort, gaining their confidence day by day”. Obtaining these results means believing in principles such as determination, competitiveness, winning attitude, respect for men and environment, cooperation with suppliers, capacity of renewal, continuous relationships of collaboration and assistance to the Customer. These are values we will not give up, because we are aware that only by following these complex and complicated paths any result can be achieved.